Warning! If you have a swarm of bees that are threatening the safety of you, your family or your neighbors, don’t hesitate – call your Downey bee removal experts at Bee Busters! The first Apollo Space program began in Downey, California. It’s where people began their interest in the journey to the stars. Although they are a city with about 110,000, it carries a small town atmosphere which takes pride in its history and community. Because of its quality residential and neighborhood areas and being a centralized location, the city was actually in the top 25% places to start a business in California. It’s also the hometown of Bee Busters owner David Marder! There are several benefits to removing bees on your residential or business property. While to you and I may think they look adorable and harmless, Bees, wasps and yellow-jackets can actually cause a great deal of fear and anxiety for many. Though there stings can indeed be painful, often people injure themselves purely through their panic at seeing them, running into things and tripping in their alarm. There are others who are allergic if they get stung. To some, it could even be life-threatening if they get a bee-sting. It is best that a professional remove bees, wasps and yellow-jackets so that they can be taken care of safely. If your residence or business is having a bee problem, you should support a Downey native, call Bee Busters for a company with a lifelong connection to Downey. 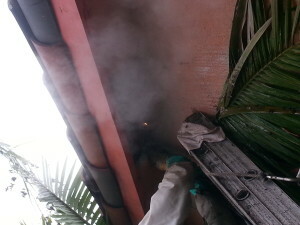 Bee Buster’s services include bee removal, bee rescue and bee-keeping. Below is a description of our services in order to help you. 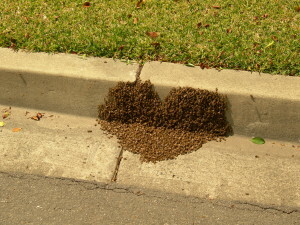 Downey Bee Removal – Bees can be found engaged in various activities. There are scouts that fly around in search of possible sites to start new colonies. There are what we call “swarms,” large masses of bees that are in transit to these new nesting sites, and established colonies where the bees have found a spot and “set up shop.” Once you have a colony, it is very important to hire professional help to remove the bees. 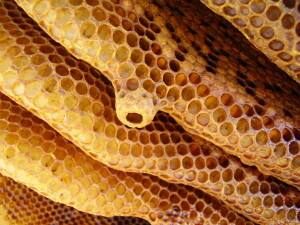 Beekeeping – Bee Busters also engages in beekeeping. For those who have knowledge and understand what they are doing, bee-keeping can actually be quite a rewarding hobby or even a profitable business. Bee Busters actually have several hives in the southern California area that they are responsible for. Not only do our bees participate in pollen production but they also produce honey too. We are advocates of good bee-keeping and are members of the Orange County Beekeepers Association. Call Bee Busters at 949-497-6264 or 714-731-1959! You could benefit from our professional and reliable Downey bee removal, treatment, eradication or live rescue services. We are available seven days a week and always answer the phone. Call your Downey Bee Removal Experts!